Though E-Bikes have enjoyed great popularity in Europe for many years, they are only recently becoming recognized in the US. Most of today's E-Bikes are a great way for those who have not been riding before, or have not ridden since childhood, to get into cycling, without the fear of being left behind, or getting stuck out away from home. What if I can't keep up with my friends? What if I can't climb a steep hill? What if I get out too far, and don't have the energy to get back? These questions present some fears that are enough to keep many new cyclists from taking the plunge into one of the most rewarding activities and hobbies available. So... Pedal Assist? When you pedal, a small motor in the crank area will help multiply your efforts to the level that you set on a small computer mounted to the handlebars. Eco, Tour, Sport, or TURBO! It will assist up to a set speed, and will stop assisting once exceeded. Downhill descents are a common area for this to occur. Also, if you stop pedaling, the motor stops assisting. It rides and feels just like you are riding a normal bike, but with less effort when needed, and A LOT more fun when desired! There are mixed laws and classifications of E-bikes, varying from state to state. Some states still lump all E-Bikes into one category, while some have no regulations on them at all. The most clear classifications are part of the 3 Class definition, which is gaining popularity in more states. All classes limit the motor’s power to 1 horsepower (750W). 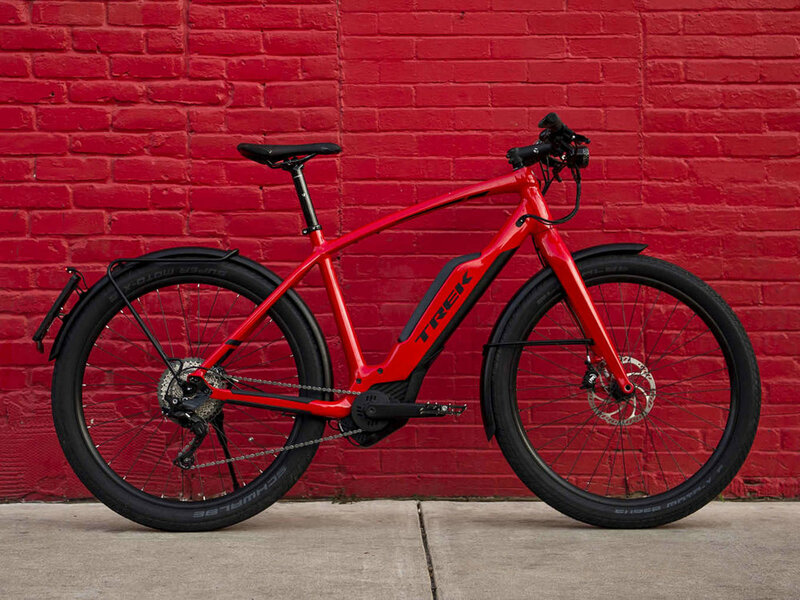 While the State of Kansas has a more friendly legislation on E-Bikes, neither Kansas nor the State of Missouri has adopted the 3 Class approach at this time. Hopefully efforts are successful to improve safety and promotion of these great cycling options. See current MO definitions HERE. See current KS definitions HERE. Want to know more about E-Bikes? Swing by Dave's Bike Shop anytime for a test-ride and an up close look at the many models and options available! We are sure there is an E-Bike suited for your style of riding.